This article is about the raid battle. For the recruitable character, see Europa. 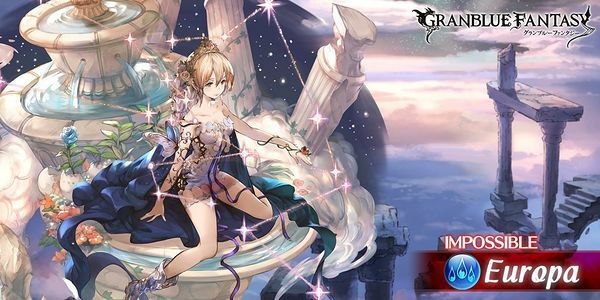 For the summon stone, see Europa (Summon). Removes all buffs on one ally. Massive Water damage to one ally. 3-hit Water damage to random allies. Removes 1 buff on one ally. OD 50%－ Number of hits increased to 7. On the next turn, it'll have 6 turns remaining..
20-hit Water damage to random allies. Resets mode bar to normal. This page was last modified on 17 October 2018, at 04:29.